Brothers and sister of Divinity, after the destruction that the giant dragon left behind our true god has returned, and he is angry. Angry that we have betrayed his will and forgotten his message! 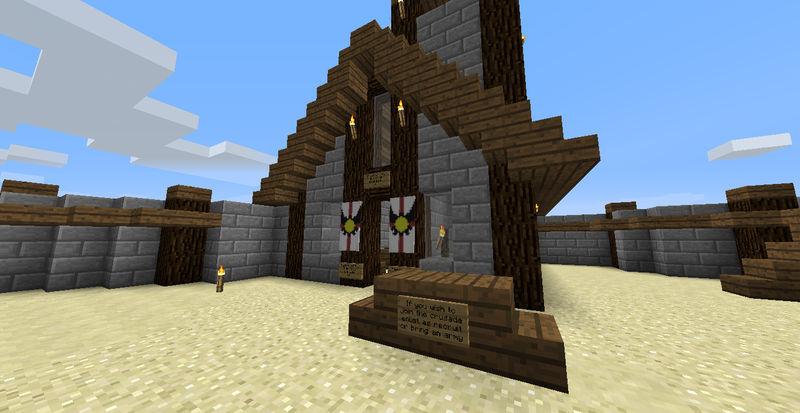 We must now work together to bring Divinitycraft under one true faith. To vanquish the enemies of our god and convert the heathens. 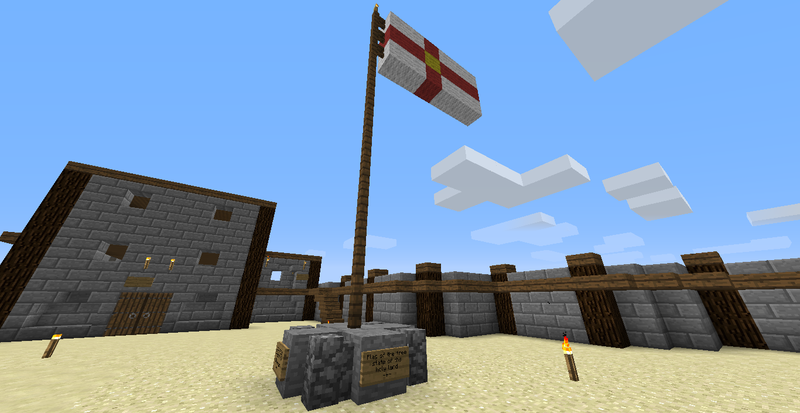 If you wish to convert, make your way to the eastern desert with /warp desert and seek out the holy land that is owned by the faction called Crusade. There is a church there where I will offer you our bible and bless you as a true believer. So join the first holy crusade and spread the will of Roobster! Enlist to the Crusade faction, earn the title of knight and get your very own crusader tank. Or rally your faction and bring an army to help in our holy crusade to spread the faith. The holy land cannot be lost my brethren! The first church of Roobster seen from outside. 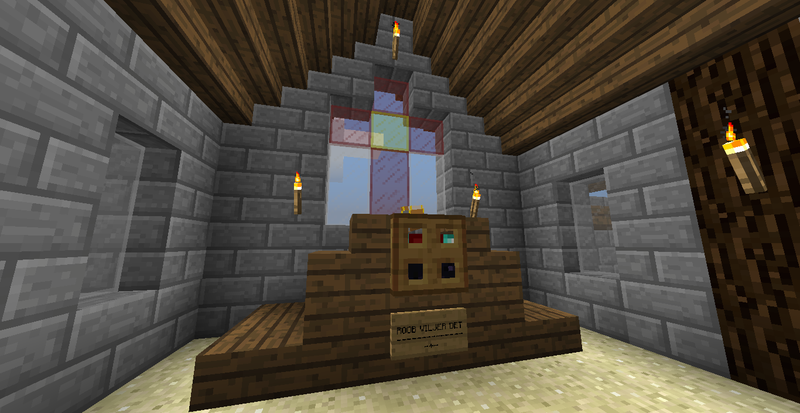 The inside of the church with the altar and the holy words of Roobster. The flag of the free state of the holy land. Apex is a free religion faction, our members can believe in the god they choose.